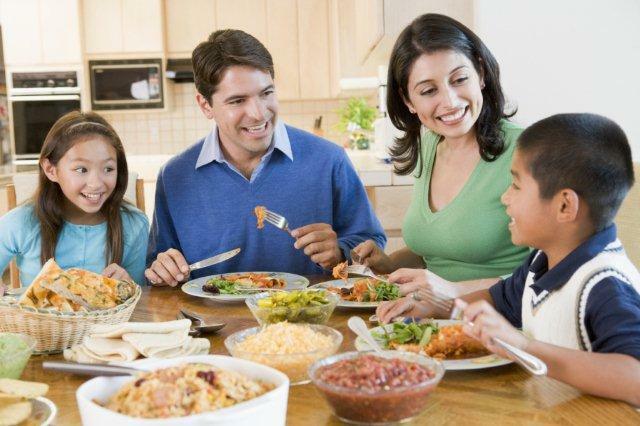 Entire family eating together is not just being together but sharing life. When each of us relates our day every day, one gets a hang of the pattern. You are curious about the developments – the first date, the project proposal, the tiff. This is where the environment starts. One just has to relate the problem to get a stream of suggestions from everyone. The conversation is not static. It jumps from topic to topic – related to school, office, food, the neighborhood, headlines; the sky is the limit. These interactions go beyond mere exchange of memories. In fact they encourage perspective-taking, critical thinking, theory building and relationship roles within the family. When any member is showing a marked aberration from normal, the rest usually put him on track a well-functioning family learns to accept that each person is different and yet be supportive. This can only be learnt if the differences are thrown regularly at each other, allowing everyone time to acclimatize them. The family can have dinner to be together or be together to have dinner. It is the perspective that matters. It is of no use to just be together at dinner for the sake of being there or, even worse, staring zombie-like at the TV all the time. Conversation is the key. An effort does have to be made initially to start the ball rolling. There after tossing and catching the ball of a spirited conversation becomes an eagerly awaited ritual. Dinner time will be the most memorable time of childhood, for a lot of people. It is unanimously bright for everyone because experiences are shared and pitched in. everyone learns from the anecdotes related. The older generation gets to know the modern techno crazy world. The kids get a peek into what’s happening in the parents’ lives. 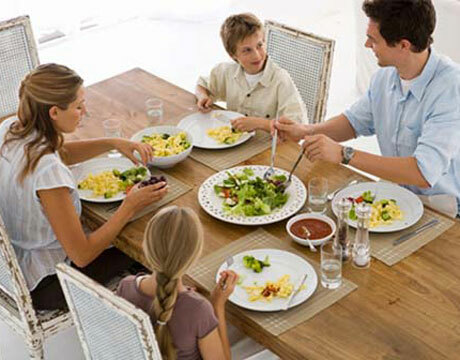 The family as a unit serves as a role model for healthy eating. If eating healthy food is considered okay by most of the members, the others follow suit. It is not always parents who guide the children towards newer foods. Often it is the kids who introduce newer cuisine to the parents. So irrespective of the age and generation, openness to towards accepting newer cuisines does develop slowly. A dinner table is a good place to encourage new experiences. There are a lot of people who would reject a new dish outright. However, on a family table, a hesitant novice can be coaxed to try out a new cuisine. Sometimes it is tried just to avoid hurting the feelings of the person offering. This gentle push, breaking the barrier of the unknown, can translate into life lessons applicable to vistas more varied than mere food. Having a family dinner can be a collective affair. All family members pitch in the activity. Some lay the table, others clear it. If one is doing the primary cooking, others can help in the preparations or shopping for ingredients. This interdependence always increases the bonding between the family members. It also allows the development of life skills – the kind not taught in any school. People become master chefs by learning at mom’s kitchen – perhaps starting with tossing a salad and slowly moving up towards casseroles and desserts. Similarly, the intricate art of good table laying can be learnt only by practical application. Every family member has to arrive at the table, before eating begins. The fact that there is someone waiting for you at the dinner table speeds up even errant members. 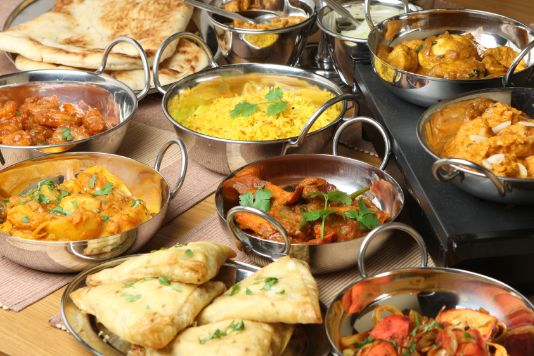 It is sad to see some households where each person eats separately and at different times. Even the food needs to be reheated several times causing loss of nutrients. Also when the whole clan is eating together, there would less food wasted as the members can share food according to their requirements. A family that eats together stays together. So here’s to more cherished family needs.